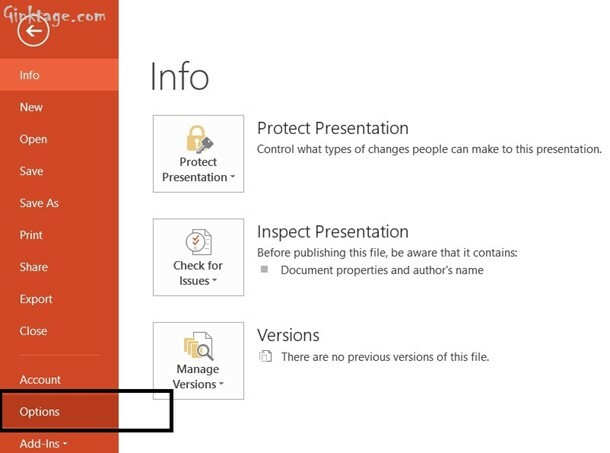 How to Hide Spelling Errors in the Presentation in Microsoft PowerPoint 2013? This article will explain how to hide the spelling and grammar errors in Microsoft PowerPoint 2013 presentation file. Sometimes, you might want to deliberately include a text in your PowerPoint slides which might contain a spelling mistake or you might want to include the text with the numbers as well. 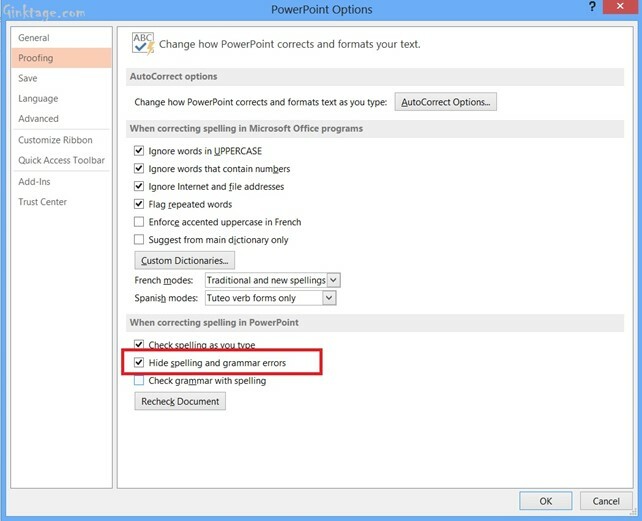 This might lead the Microsoft PowerPoint 2013 to apply the spell check and display a red dotted line below the text. You can disable this behaviour by setting a property in Microsoft PowerPoint 2013. Follow the below steps which demonstrates how to do it. 2. Click “File” -> Options. 3. This will display the “PowerPoint Option Dialog“. In the left sidebar, select “Proofing” and then enable the option “Hide spelling and grammar errors” and click OK. This will hide all the spelling mistakes in your presentation file.